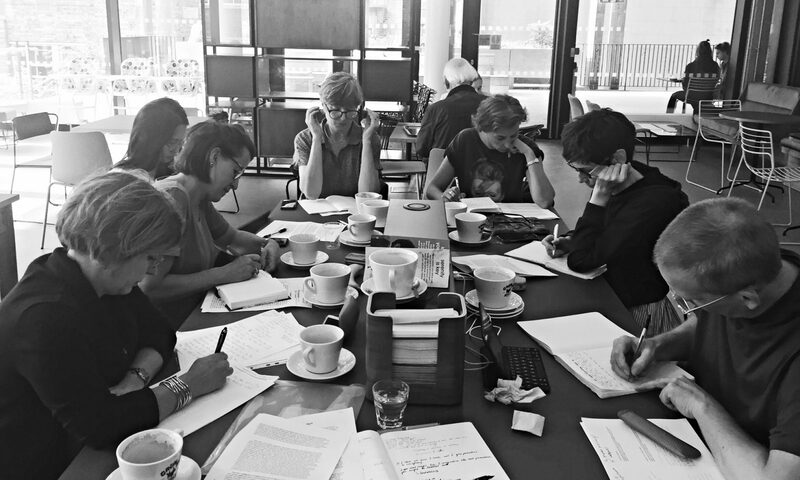 Angles Writing Group – Writers of prose and poetry meeting in Cambridge, UK. Writers of prose and poetry meeting in Cambridge, UK. Angles writing group was founded in 2009 by alumni of the Anglia Ruskin University MA in Creative Writing. Members include former students as well as other committed writers, some of whom have studied creative writing and many who haven’t. We are based in Cambridge in the UK. Poets, novelists, life writers, short story writers, children’s authors and bloggers, we meet weekly during term time in a central Cambridge café to share our work and discuss writing topics, providing detailed and informed critiques that enable writers to redraft and polish their writing to a professional standard. We occasionally invite guest speakers to the group to share their experiences. These have included novelists Rebecca Stott and MJ Hyland, literary agent Rachel Calder and poet Kaddy Benyon. Current and former members who have published novels, novellas and poetry collections include Guinevere Glasfurd, Penny Hancock, Megan Hunter and Kaddy Benyon. Many have achieved success in winning prestigious prizes, funding for projects and publication in magazines and journals. This is by no means necessary to join the group though – all we ask is a commitment to writing and some experience of critiquing and receiving feedback. To find out more about members and their work, please visit our Writers page. If you are interested in joining the group, please email anthea.morrison@mac.com.